Yes, we can export this product to most other countries! 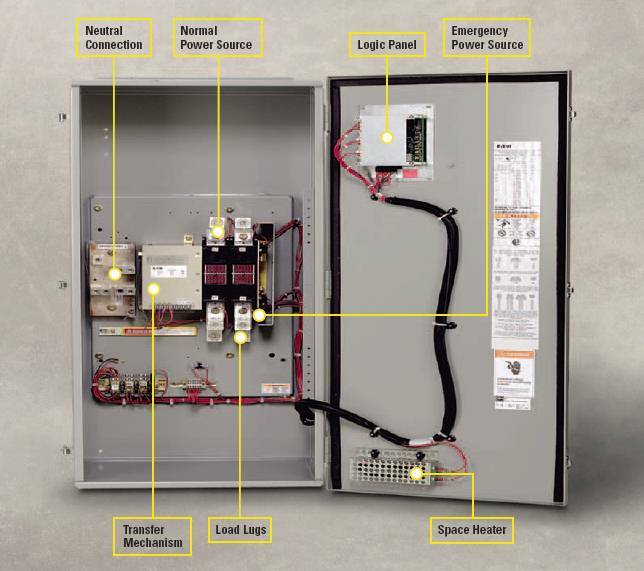 The Eaton Cutler-Hammer® Automatic Transfer Switch from Eaton’s electrical business is designed to provide unmatched performance, reliability and versatility for critical standby power applications. The switches can be equipped with the ATC-100 or ATC-300 controllers to match your application needs. All the controllers offer rock-solid monitor-ing, status reporting and transfer control operation. Superior design and robust construction make Eaton’s Cutler-Hammer transfer switch the industry benchmark for critical and distributed power systems. Assembled in Mexico with USA components. • Ratings 100, 200, 225, 260, 400 and 600 amps. • 2, 3 or 4-poles. • Up to 600 Vac, 50/60 Hz. • NEMA 1, 3R, 12, open. • Pre-transfer signal contacts 1NO/1NC. • Go to Emergency (Source 2). • Seven field-programmable time delays. diagnostics and Help message display. 0-600 minutes, no load/load with fail-safe. • Space heater with thermostat. • Ammeter -- load side. • Stainless steel cover for controller. 2) This switch is NOT service entrance rated. The NEC normally requires a separate service entrance rated disconnect between this switch and your utility meter. 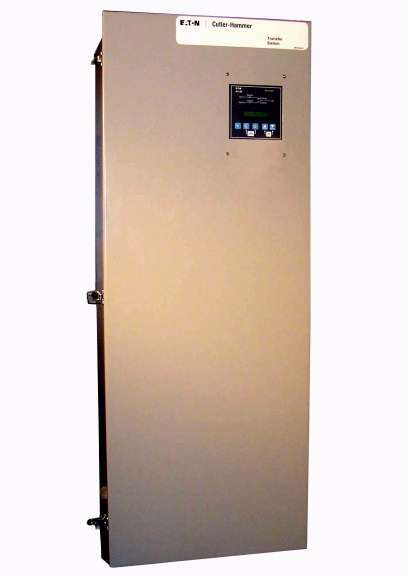 3) The ATC contactor comes standard with 2 or 3 power poles to switch the hot leads of a single phase or 3 phase system. It does NOT switch the neutral, which is acceptable in most areas of the USA. See article 250.20 of the 2002 NEC. If there are special requirements in your area that require switching the neutral (as dictated by local codes or electrical inspectors) you must specify an additional power pole using the dropdown menu below when ordering. 4) This switch provides a single isolated contact for controlling the genset. The contact closes when the genset is to start and run. This item normally ships in approximately 2-4 weeks or less.